Commonly known as GITAM (formerly GITAM University), now Gandhi Institute of Technology and Management. The university was established in the year 1980 together by the leading industrialists and intellectuals of Andhra Pradesh. The university aims at providing comprehensive and futuristic education to students from India as well as abroad in various managerial technological fields. Global standards of teaching, including regular research and consultancy are practised here, that encourage students to share their creativity and knowledge with the world. A lot of students from the University are now well-known in prestigious organisations like Stanford University, IITs, IIMs, Union Public Services and more. The GITAM University offers special amenities to students like campus wifi, bus service, dining, student clubs, student housing, annual fests, auditoriums, athletics, Gandhi museum and more. The Centre for Distance Learning of GITAM University has been recognized by the Distance Education Bureau (DEB), New Delhi. The objective of GITAM University CDL is to provide quality and higher education to students from distance, who otherwise fail to seek regular learning. It is an innovative way that facilitate teaching various programmes at an affordable cost. GITAM University distance education MBA offers two specializations - one is General MBA and the other one is MBA HRM. It is a two-year programme comprising of four semesters. The medium of education only English. When candidates complete their first year of this programme, you’ll be awarded Post Graduate Diploma in Management (PGDM). And when you complete two years, you’ll be awarded MBA. A bachelor degree of GITAM University or any other equally recognized university, except BFA or BOL. If the candidate has a degree in B.Tech./B.Pharm./Medicine/Law/BE/CA/ACS/ICWA/AIETE/AMIE etc. will also be considered eligible. Candidate is required to take the GAT examination by GITAM University and obtain some rank. A candidate’s admission will be considered only if he/she appears for GAT. Registration and admission fee of Rs. 300 (additional) is to be paid along with the 1st year fee. If the candidate is from any other university than GITAM University, he/she is required to pay a recognition fee of Rs. 500 (additional) with the 1st year fee (only if he passes the exam). Examination fee of Rs. 1,200 is also payable, and Rs. 200 is payable towards Prospectus and Application Cost. 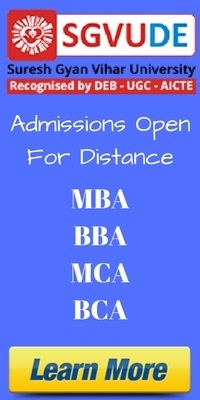 The candidates can apply for GITAM University distance MBA online. Please provide your name, programme applied for and application number on the back side of the Demand Draft.